With autumn on its way, one of the country’s largest UGG boot producers – Ever Australia – is adding a new collection to its stunning range of footwear, perfect for trans-seasonal styling. Using premium quality materials and the finest craftsmanship, Ever Australia has re-invented traditional footwear and has launched the all-new Candy Moccasin range. 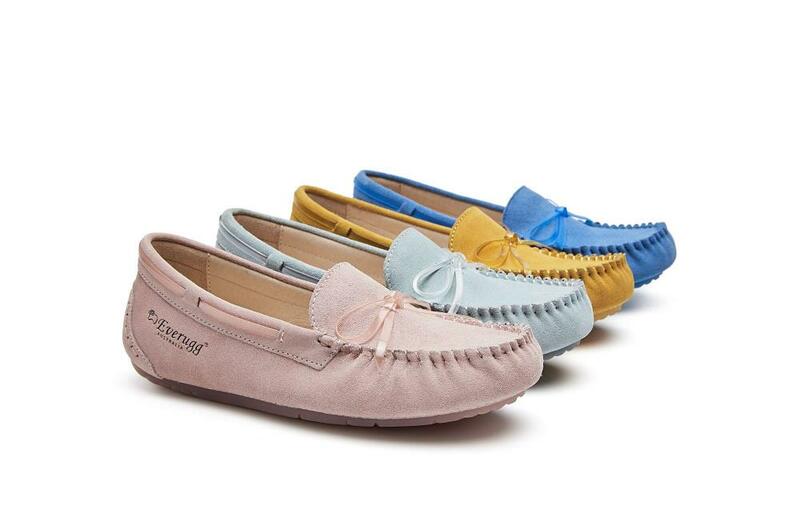 The Candy Moccasin range includes four beautiful colours, breathable and extra water-resistant suede uppers, comfortable and very soft leather inners, and a hidden 3cm heel to add a little elegance to any look. The flexible material makes the shoe comfortable to wear and with the PVC jelly-like sole; it’s like walking on clouds. Adding even more attention to detail, the design of the sole is inspired by Picasso’s abstract artwork and incorporates the Ever Australia logo. Complimenting the sole, the ribbon on the top of each Candy Moccasin is also PVC; which adds another distinctive feature to the traditional style. Influenced by trends from all around the world, with a creative design team and talented craftsmen, Ever Australia continues to develop unique designs of the highest standards for each wearer to express their individual style with distinctive pieces. Is Queensland the home of Australia’s favourite family?